StyleZeitgeist is both an online fashion community (forum) and an independent print and online magazine. The forum and the magazine are two different media that share the same goal - to create an aesthetic universe that draws like-minded individuals. stylezeitgeist.com was born in September 2006 when I decamped from another fashion forum, inviting ten other members to join me. 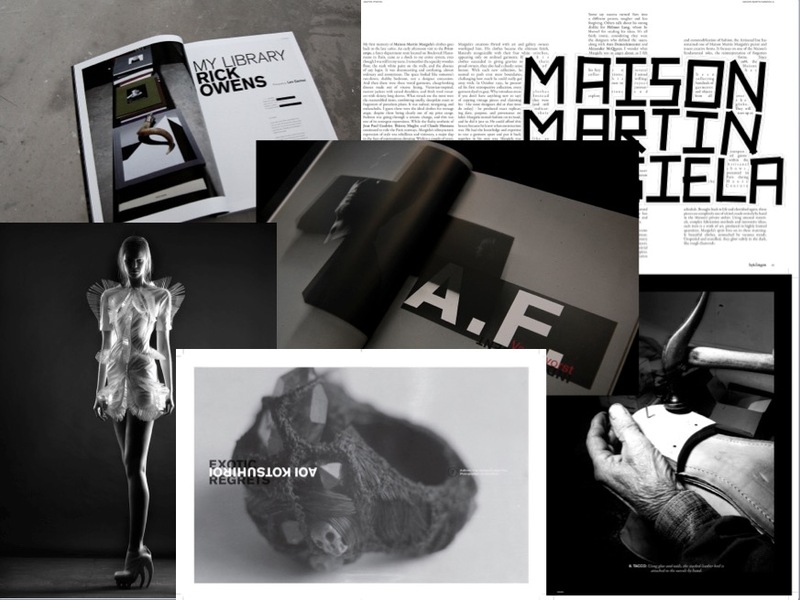 Today, the highly influential site draws thirty thousand unique monthly visitors from around the world (generating around one million hits) who discuss avant-garde fashion and culture. StyleZeitgeist counts a significant number of creative professionals among its audience. It has created some of the biggest fan bases for cutting edge designers such as Rick Owens and Ann Demeulemeester, and more obscure ones such as Carol Christian Poell and Paul Harnden. We have also coined the meme "goth ninja" (for better or worse). Following the success of stylezeitgeist.com I launched StyleZeitgeist magazine in 2011 with the help of several forum members, namely Florian Schmitt, whose creative agency Hi-Res! designed our print volumes, and Daniel Franco, who became my partner. So far StyleZeitgeist magazine has had five print issues and regularly publishes articles on its website, www.sz-mag.com, which draws ten thousand unique monthly visitors. The goal of the biannual print volumes is to break the conventions of fashion magazines by publishing long form profiles of designers and artists while offering newsy, shorter articles on our website.